Spain and Portugal are renowned for their sunny skies and fantastic, rich cultures. On this tour, you get to experience it all. The tour begins with time in Barcelona. 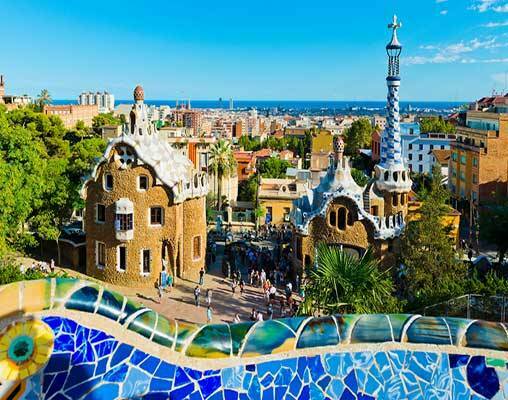 Enjoy one day of sightseeing, making stops at Gaudi's Casa Batlló and in the Eixample District, and one day to see the stunning beaches, sample the fantastic wine and food, and to immerse yourself in the city. 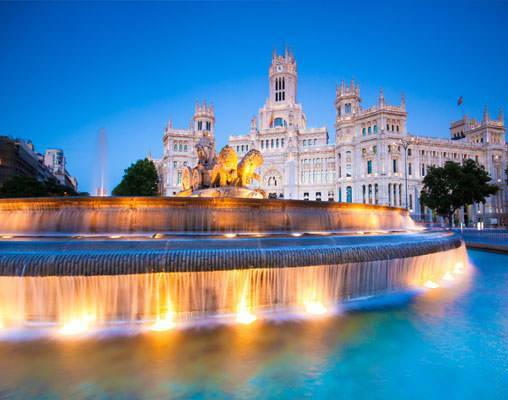 Next, you enjoy two days in Madrid, where amazing attractions, such as the Prado Museum and Orient Square with the ornate Royal Palace, meet incredible historic architecture and beautiful parks. The journey ends in Lisbon, which is the sunniest city in all of Europe. 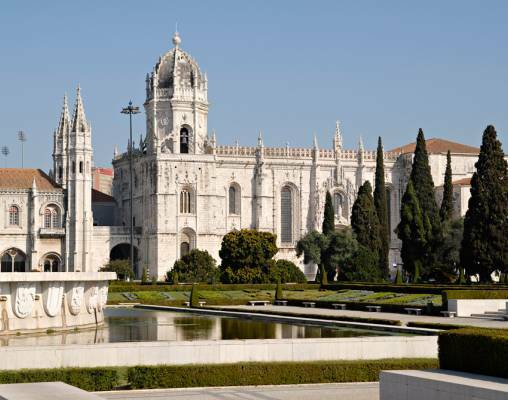 Here, guided touring takes you to sites such as Jeronimos Monastery and Alfama, and your independent time gives you the opportunity to enjoy the amazing Mediterranean climate and all that comes with it. Each city has its own specialties to offer, and with the help of a Local Host in each destination, you will be able to make the most of every moment of your tour. 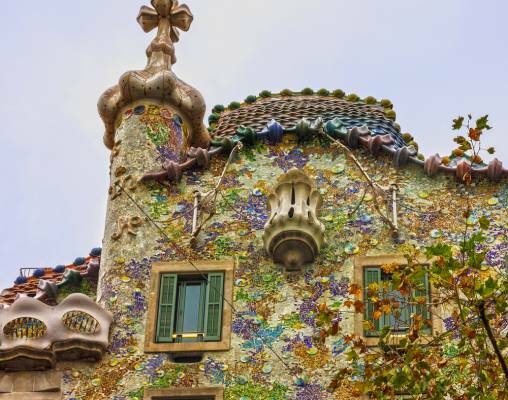 Stating from Plaza Catalunya, morning guided sightseeing includes a drive along elegant Passeig de Gracia to see the captivating façade of La Pedrera and to visit Gaudi's Casa Batlló. Passing through the central Eixample district, reach the extraordinary but still unfinished Sagrada Familia Basilica. Your included entrance fees contribute to its completion. Your Local Host has many recommendations for your day - perhaps a visit to whimsical Tibidabo amusement park or where to find a Sardanes folk dancing performance. Morning guided sightseeing features a visit to the palatial Prado Museum to admire one of the world's finest collections of European art. Also, see the Plaza de España. Parliament, Cibeles Fountain, Orient Square with the ornate Royal Palace, Parque del Buen Retiro (Park of the Pleasant Retreat), and the Neoclassical Puerta de Alcalá monument. Your Local Host will have many options for your day at leisure, such as a visit to Berardo Museum with its modern art collection and where to shop for souvenirs. This modern 145-room hotel, which has preserved its early 20th-century facade, is conveniently located and offers Free Wi-Fi access throughout. Dining options include a restaurant serving Mediterranean cuisine, café and cocktail bar. A highlight is the pretty rooftop terrace and bar with seasonal outdoor swimming pool, complete with sun loungers and parasols. Other amenities include a sauna, solarium and gym. This 123-room modern hotel is located in the most prestigious quarter of Lisbon, directly on the tree-lined Avenida da Liberdade with exclusive shops and the Marquês de Pombal Metro Station just meters away. Free Wi-Fi access is available throughout the property. The hotel's restaurant serves a range of international dishes and after-dinner drinks can be enjoyed at the adjacent bar. There is also a gym, sauna and steam bath. 27th April 2019 $2,278 Please call for availability. Enter your details below if you would like to be notified when 2020 dates and prices are available for Barcelona, Madrid & Lisbon. 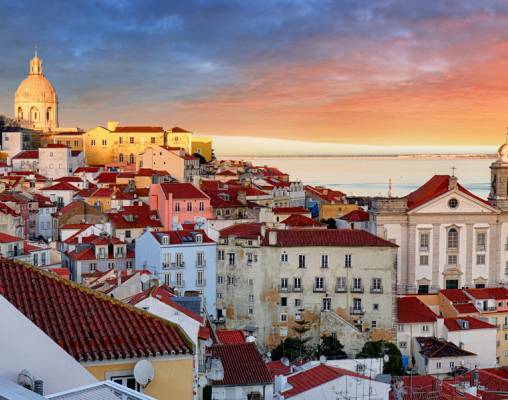 *Inter-air flights are not included in tour price from Madrid to Lisbon. 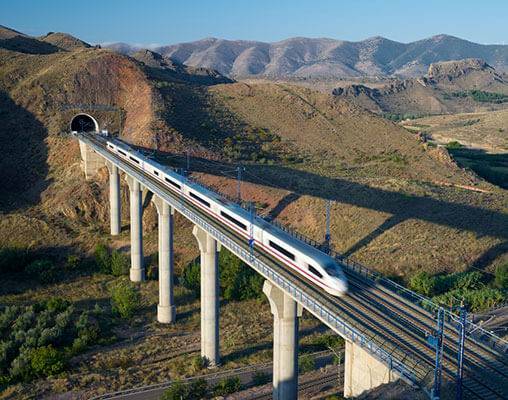 Contact a rail specialist for pricing and schedule.